General purpose, weather resistant clothes pegs. Shaped for a better grip when hanging out your washing. Made from durable plastic with rust resistant coil springs for a strong hold. 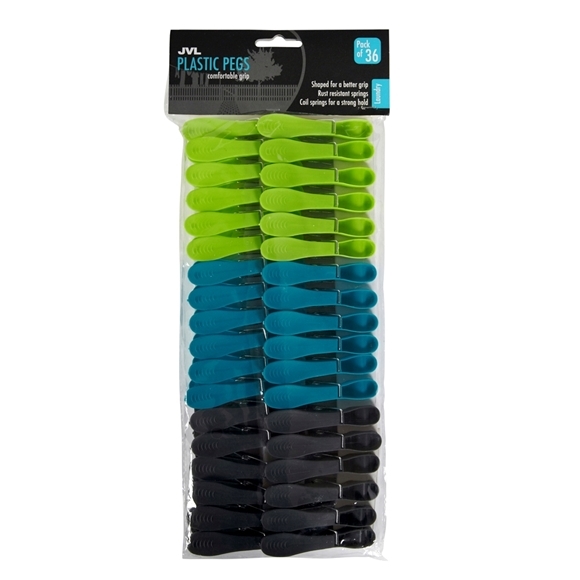 Pack of 36 comes as a mixed pack of three colours teal, lime green and grey.